India is one of the most exuberant countries in the world with whole cities dyed in pink and blue, vibrant festivals, abundant fruits, and women wearing gorgeous saris of different hues. Wherever you go in India you’ll experience more colors than you’ve ever had in your life. 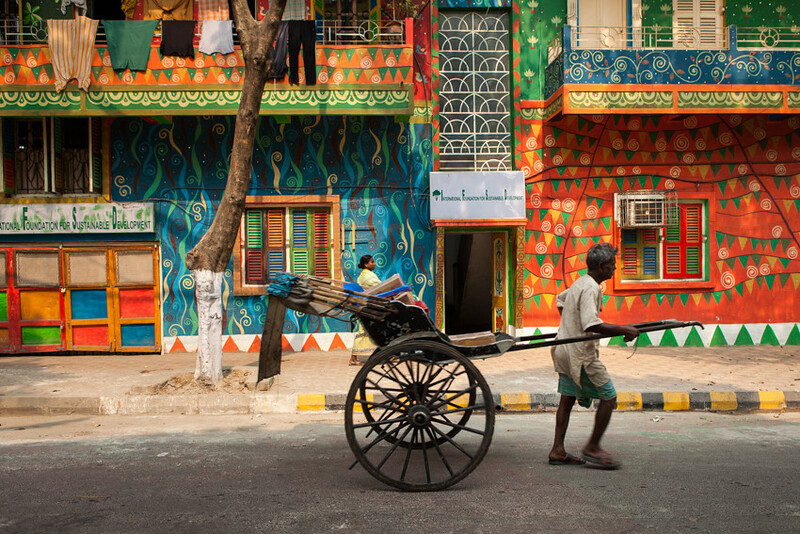 From the pink walls of Jaipur to the ghats of Varanasi, we present you 8 most colourful places of India. 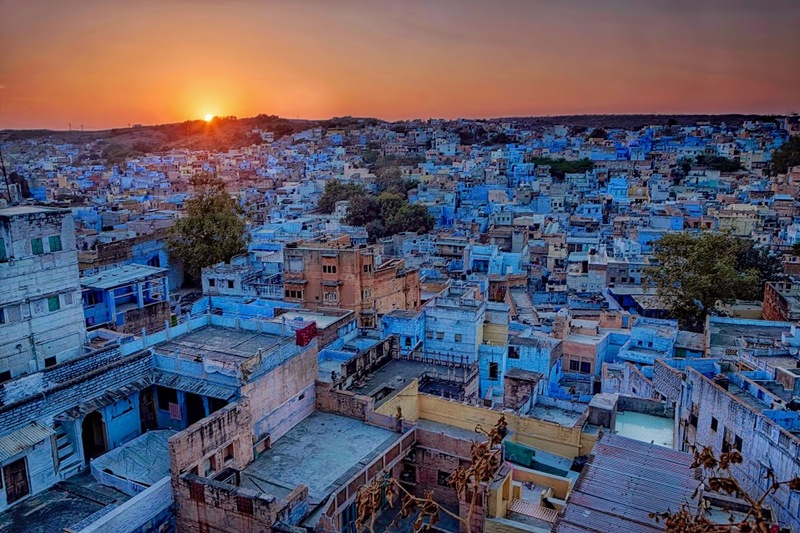 The magic of the Blue City is something that strikes the eye as soon as you enter Jodhpur. Located in the picturesque state of Rajasthan known for its dessert and vibrant handcrafts, Jodhpur is a place like no other. The city got its colouring when Brahmins started painting their houses blue and it soon became a general trend. Head to the Mehrangarh Fort to enjoy the scenic view of the Blue City. Known as the birth place of Lord Krishna, Vrindavan is the go-to place to experience the celebration of the Holi festival. People from all over India as well as other countries flock the city to join the most colourful and joyful celebration of the year. When in India, Vrindavan is a must-see! When you go south of India you’ll notice the change in everything – architecture, cuisine, and even colours. Yes, there’s even more of them! 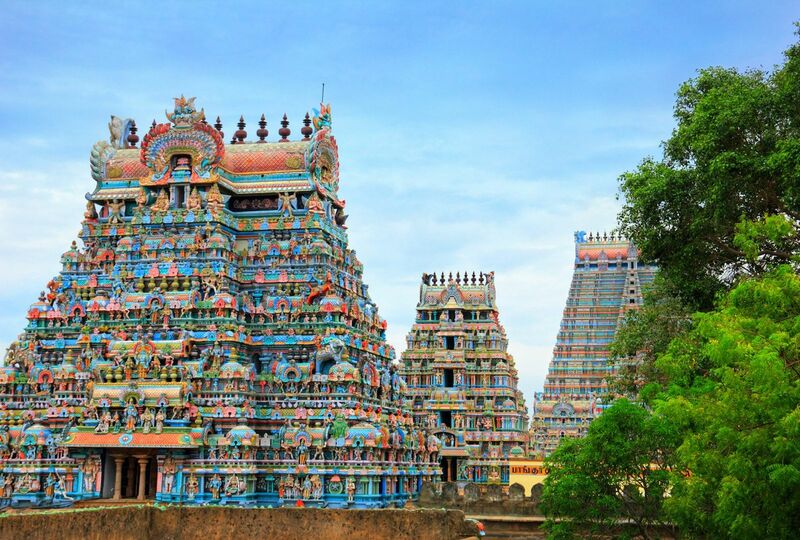 Madurai is a city known for its spectacular Meenakshi Amman Temple located in the very heart of it. Dedicated to Shiva and Parvati that got married there, the temple features colorful gopurams, floating high above the city. It is one of the biggest and oldest temples in India, attracting millions of visitors every year. Rajasthan is one of the most vibrant states of India. 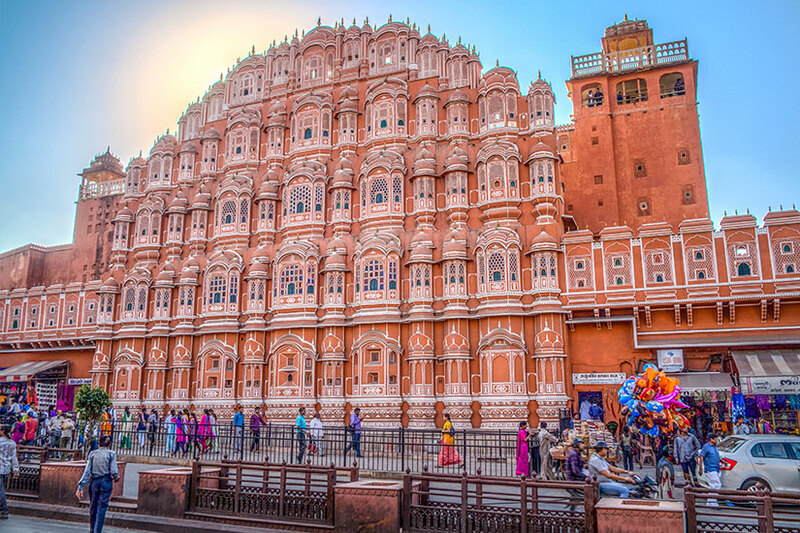 Not only does it host the famous Blue City, but it is also home to the beautiful city of Jaipur that boasting walls of gorgeous pink hues. The city got its romantic colouring after Maharaj ordered to paint it pink to welcome Prince of Whales and Queen Victoria in 1876. It’s a beautiful city that exudes warmth and joyfulness. Kolkata is a huge city that seems to be trapped in time. With its trams, gorgeous Colonial architecture, and streets filled with shops, fruit vendors, book stalls, and sweet stores, Kolkata is a vibrant West Bengal city and the abode of Goddess Kali. During the Navratri celebration the streets of Kolkata get filled with colorful pandals and festive crowds. Visiting Durga Puja is a must for any fan of the Hindu culture! Dal Lake, also known as the ‘Jewel in the Crown of Kashmir’, is a place you need to see at least once in your life. 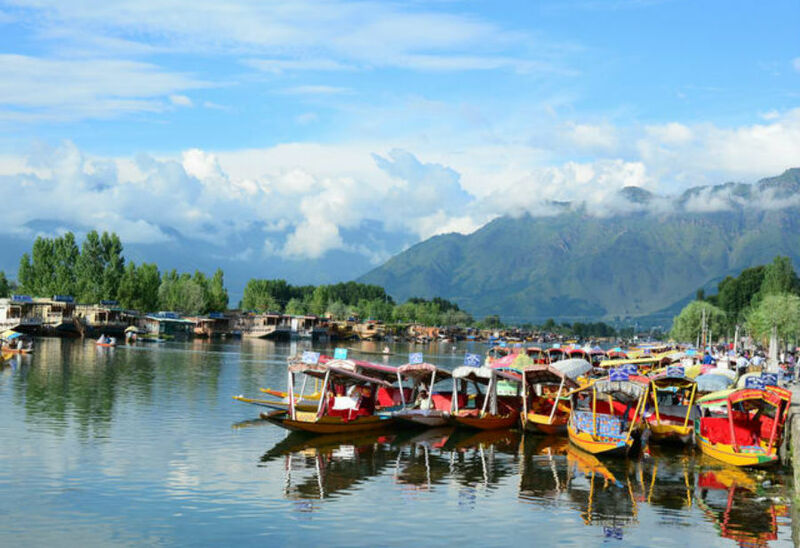 Located in the picturesque Srinagar, Dal Lake strikes all its visitors with incredible serenity, peaceful blue hues of Pir Panjal mountains, and beautiful reflections of houseboats floating upon this vast sheet of water. Vibrant shikaras are gliding along the lake transporting fruits, vegetables, and flowers. Indeed, it’s one of the most colourful places in the world! 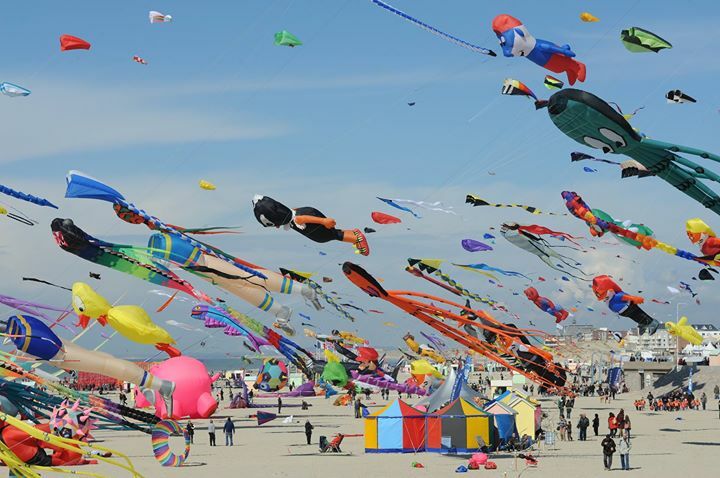 The skies of Ahmedabad get filled with all kinds of colourful creatures, shapes, and designs as the annual International Kite Festival starts there, coinciding with the celebration of Makar Sankranti, the approaching of the harvest season. Months before the festival the families of Gujarat start the preparations, making dozens of colourful kites that will float in the sky beautifully. It’s a sight you’ll never forget! Varanasi may not have brightly coloured walls or a vibrant city life, but it is definitely one of the most unforgettable places in the world. 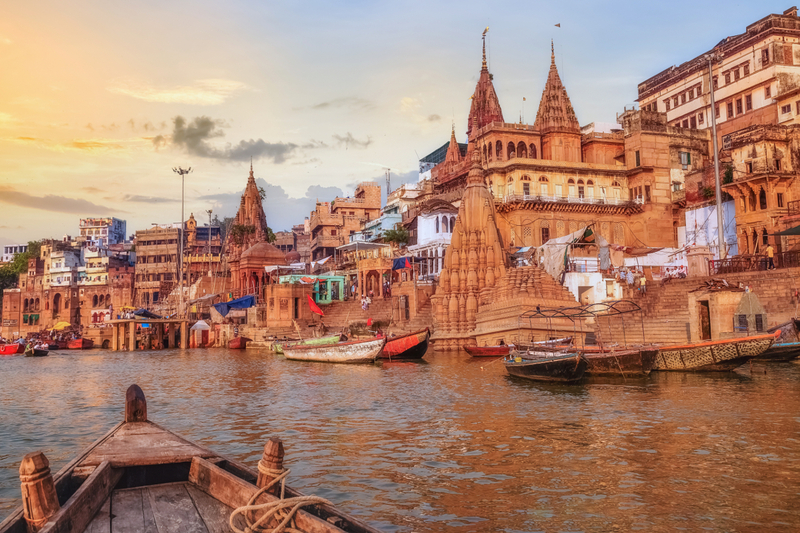 With its varied architecture and ancient ghats that date back thousands of years, Varanasi offers all its visitors a trip to the times of sages, sadhus, and spiritual seekers. 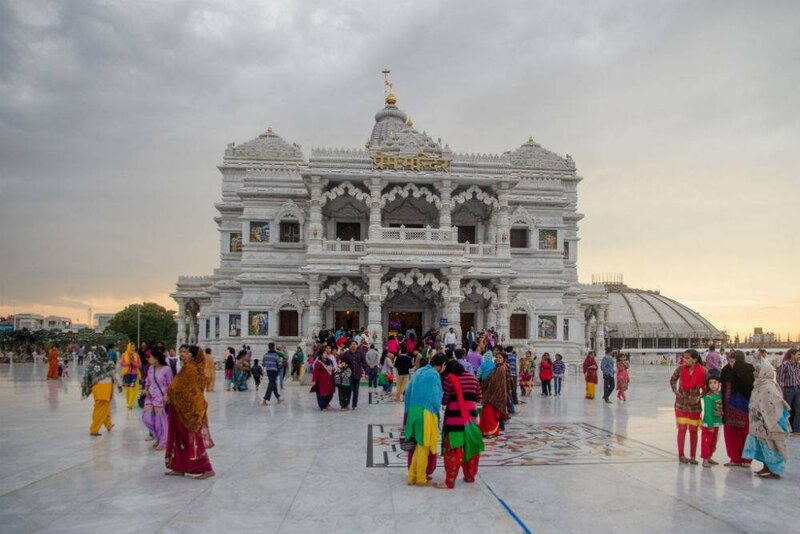 Some of the most gorgeous and important temples are all gathered here in one place, not to mention the beautiful fire ceremony of Ganga Aarti.